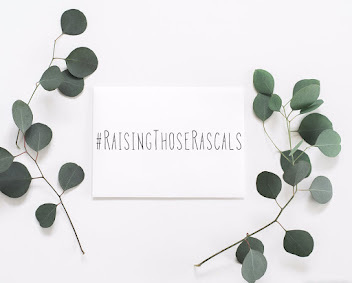 I'm afraid this this post comes with a 'better late than never' disclaimer because I actually meant to have this one live weeks ago...but ya know, blogging routines always go just a little bit to pot during the summer weeks- Come September I'll be back with a more regular uploading routine- Promise! Anyway, I finally managed to get my excited little hands on the beautiful edit for July's Cohorted box and after the rather high bar that June set, (You can check out my June review here) I had every good expectation as I unwrapped the pristine packaging and delved into my Iconic ribbon- tied black box of goodies. 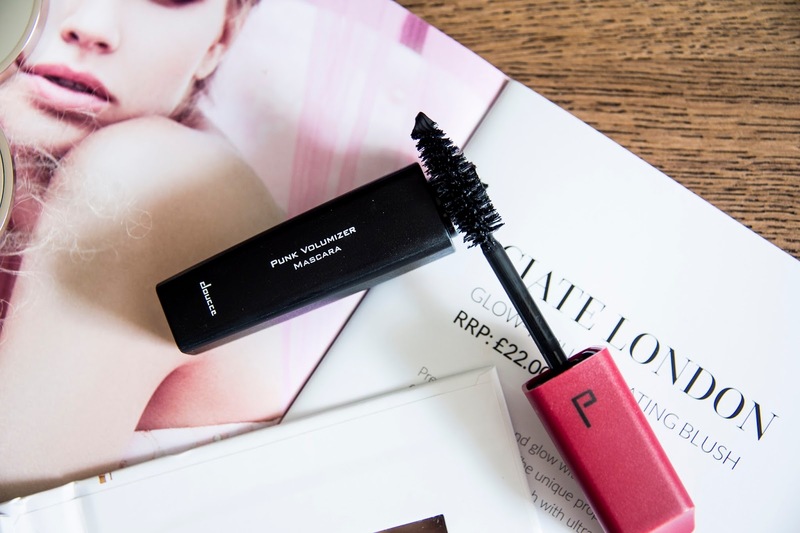 A new brand discovery for me this month was Doucce which have supplied two products in July's Cohorted Box; the first of which is this rather sleekly- packaged mascara. What I especially like about this one is the wand shape and jumbo brush fiber bristles which coat every lash individually and bring alll the drama! This is definitely a great pick for fuller makeup and a seriously convincing false lash effect. However, all that drama will need removing at the end of the evening and, testament to its staying power, it does require a little working to remove. I tend to use the Garnier Micellar water and cotton pads to remove my makeup anyway and this does work a treat but it definitely requires a little more patience to remove than my regular mascara. Sticking with Doucce for a second, I also had the pleasure of trying out their dual action lip paint that lets you choose between a matte or glossy finish. You begin with the paint (this one is in the shade 619 'holiday getaway' which is a beautiful almost burnt orange tone) and this creates a flawless matte finish that stays in place without transfer. The pigmentation is really beautiful and I found my lips appeared more plump and fuller within seconds of applying. If you're wanting to create a glossy finish, applying the clear topcoat adds a vibrant shine and sets the colour in place. I've been wearing the topcoat on its own too and that has been a really easy way to ensure long lasting multi-dimensional shine for a more understated look. Yep, it's fair to say this is going in my transitional summer to autumn makeup bag without a doubt! 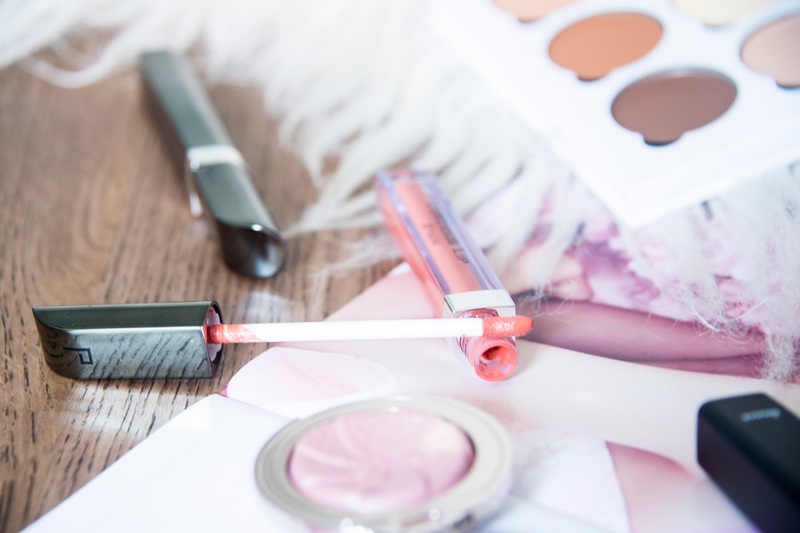 I finally got to grips with my first ever Bellapierre palette in July's Cohorted box where I trialled their beautiful glowing palette and so when I discovered yet another palette from them this month, I was pretty gobsmacked- in the very best way! 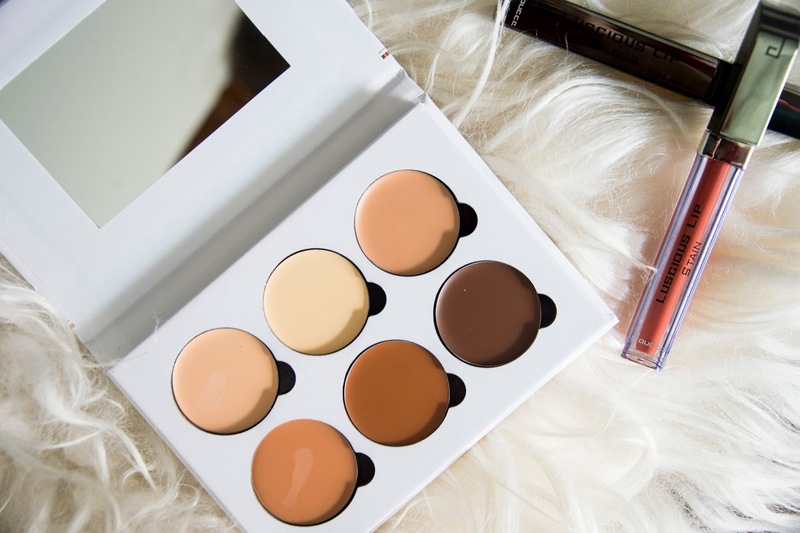 This cream contour and highlight palette contain everything you need to create definition and dimension in your complexion. The six shades can be used to highlight the areas you wish to bring out, or contour the areas you wish to slim down. Contouring can be a tricky business even for the very best hands in the makeup industry but Bellapierre have you covered with a comprehensive step-by-step guide booklet that explains how to use each shade against different skin tones and also how to identify and compliment your unique face shape. The palette is really beautiful and the creamy consistency of each shade melts like butter on the skin and blends flawlessly WITHOUT any dark streaks or dodgy smudging. This little compact is probably my favourite product in this month's box altogether. What can I say? 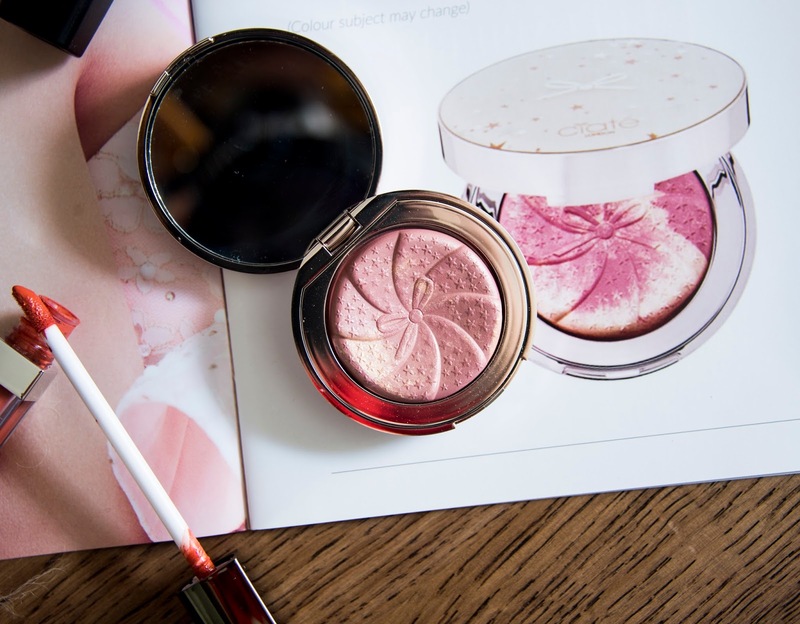 It helps that I have always been big on dewy/glowy makeup, so throw in an illuminating blush and you can pretty much guarantee it's gonna be right up my street! 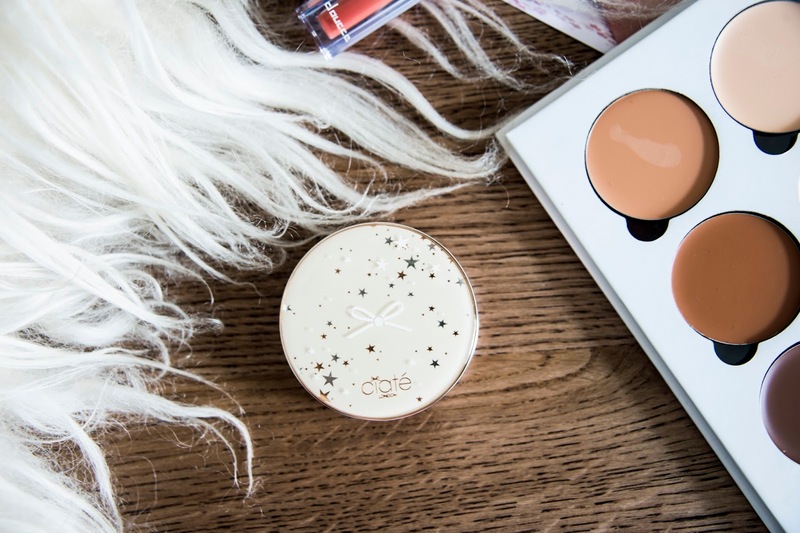 The formula contains a silky matte blush and ultra fine powder highlighter swirled into a beautiful finish. It's a totally gorgeous colour and looks so beautiful and feminine on the skin- a real dusty pink with SO much shimmer! I love everything about this including the fact that the compact is very handbag friendly, it makes it very easy to pop in my bag and carry about with me. Stay posted for my review of the August Cohorted edition- 2 boxes in and I am definitely a convert to the idea of a luxury beauty box subscription. 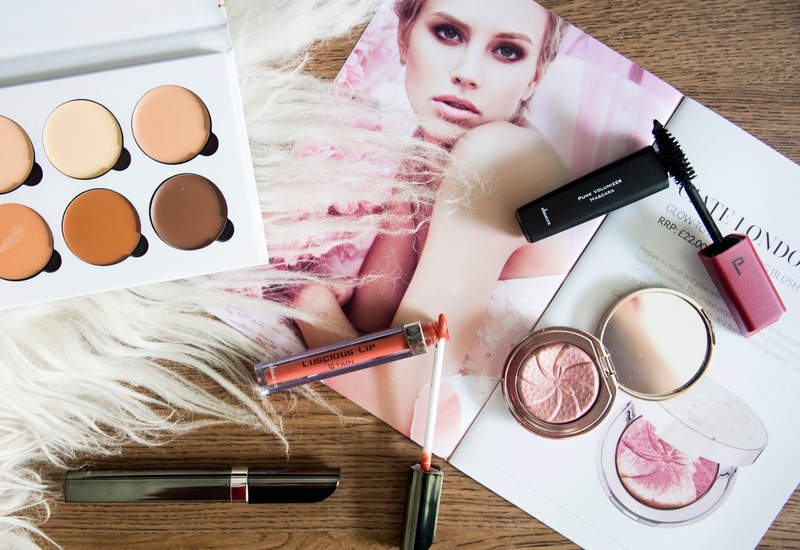 It makes such a great way to trial higher-end products before you buy and, with a combined product value of over £100, it's a total steal if you're in the market for a beauty box with guaranteed satisfaction.